Can Büyükberber is a visual artist working on immersive audiovisual experiences blurring boundries between physical and digital spaces. 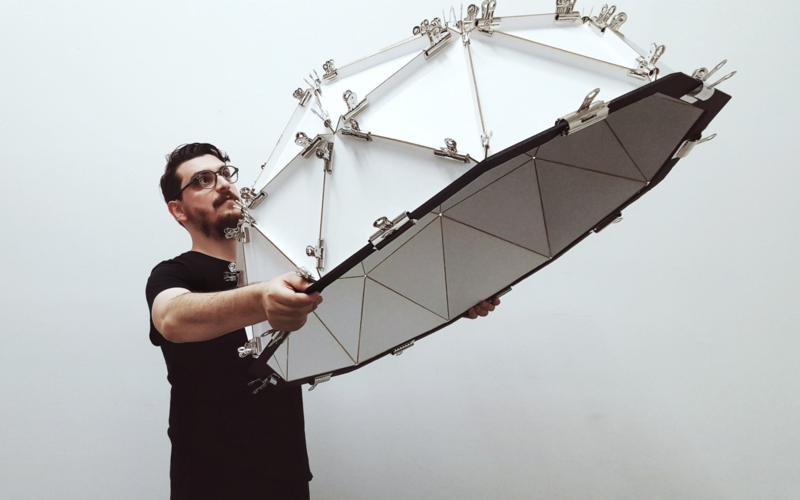 His practice consists of experiments with virtual / augmented reality, projection mapping, geodesic domes, large-scale displays and digital fabrication. Driven by an interdisciplinary thinking which extends to art, design and science, his work focuses on human perception, exploring new methods for non-linear narratives and emergent forms. Aiming to build captivating and abstract universes, he uses increasingly complex structures which are perceived as a multi-sensorial feeling and turns the conceptual into the experiential, blurring the sense of scale and presence in physical and digital environments. He has received his Master’s Degree in Art & Technology from the San Francisco Art Institute as a Fulbright Scholar and has been selected to Autodesk’s Pier 9 and Adobe’s AR Artist Residencies. And has exhibited at museums, galleries and media art festivals around the world, including ZKM (Karlsruhe), Ars Electronica (Linz), ArtFutura (Roma), SAT (Montreal), Sonar D + (Barcelona), the California Academy of Sciences and the Exploratorium of San Francisco. His “Morphogenesis” was one of the works shown at the exhibition “Digital Creatures”, presented at ArtFutura Roma 2017, together with the installations “Celestial Collisions” and “Generative Tissues”. 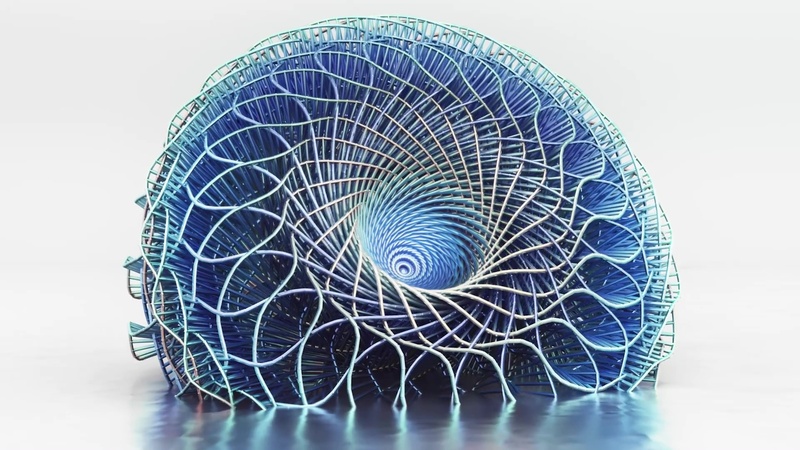 “Morphogenesis” is based on the continuous transformation of fundamental geometric patterns and aims to emphasize the systemic interconnection over space and time of all natural dynamics. “Celestial Collisions” is a representation of colossal masses such as movements and landscapes. And “Generative Tissues” is a Web GL based digital sculpture .